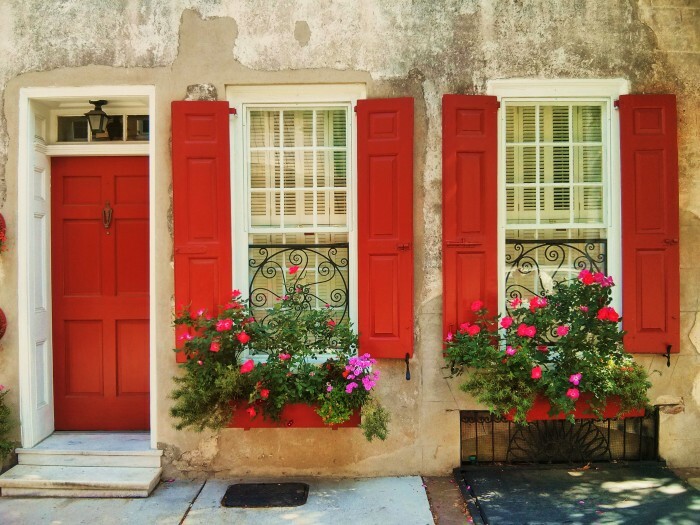 A beautiful example of the wonderful windows in Charleston… these are on Queen Street. 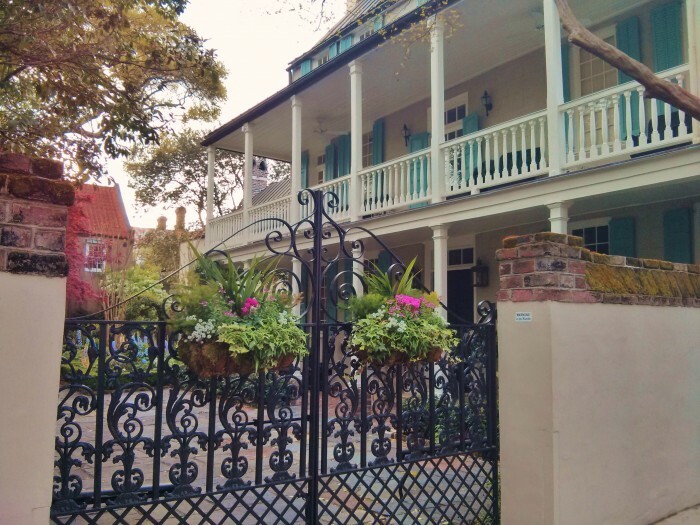 Ironwork, flowers, masonry and stucco wall, piazzas on a Charleston single house… there only one place in the world like this. 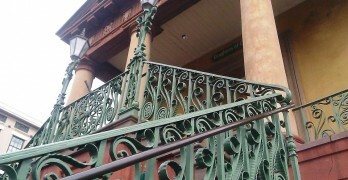 And more specifically, this can be found on King Street. 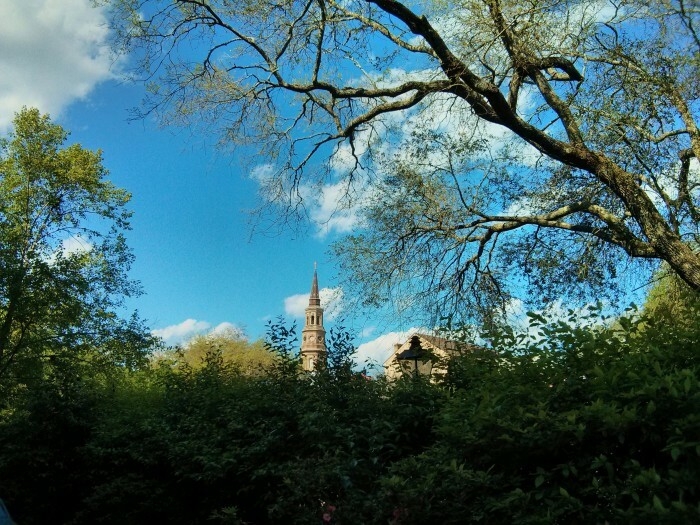 St. Philip’s steeple is one of the iconic steeples in the Holy City skyline. 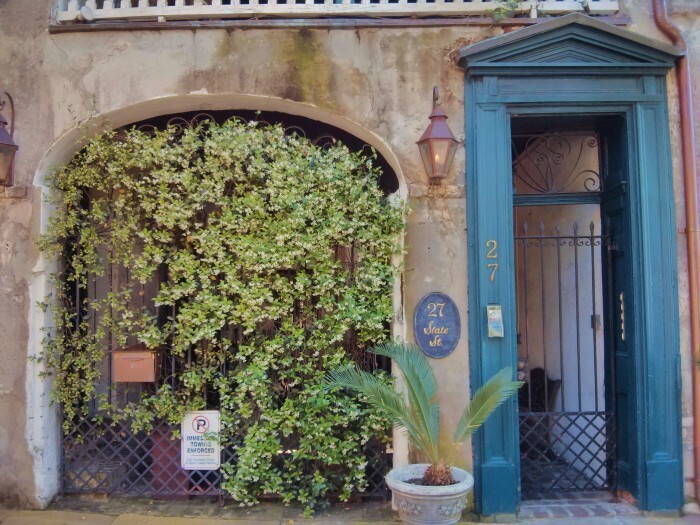 When the Confederate Jasmine blooms in Charleston, SC the whole city becomes bathed in wonderful scent. The white flowers add another layer of beauty to the city as well. When you look at the flowers you can see why this type of jasmine is also known as Star Jasmine. 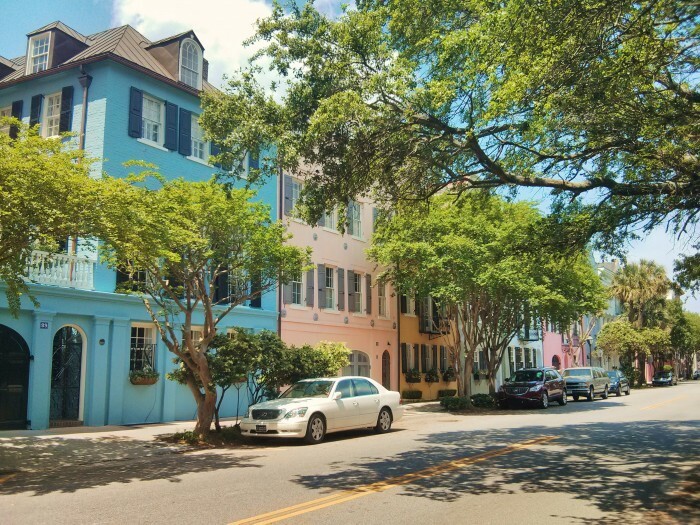 Charleston is known as one of the most colorful cities in the world. It’s not hard to see why. 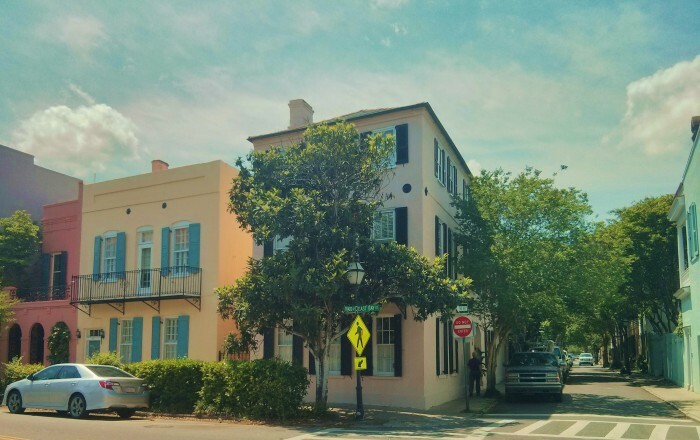 This corner of Tradd and East Bay Streets was at one of the corners of the original walled city, and the remains of the original wall are under the ground just across the street. 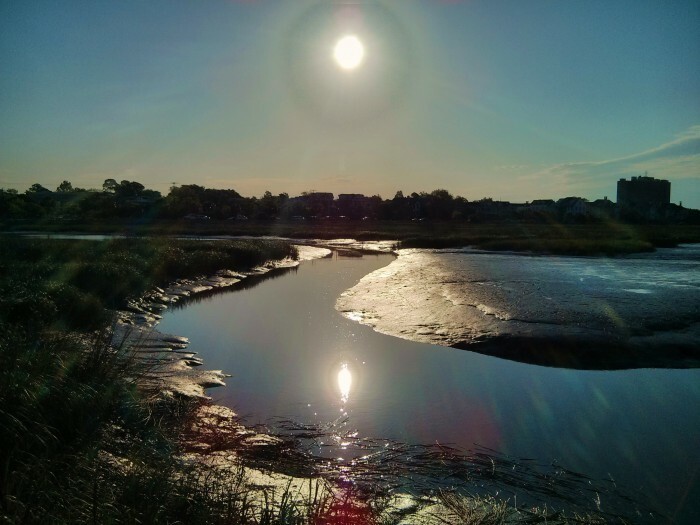 Water, pluff mud, the profile of the Lowcountry and the sun… all components of what makes Charleston Charleston. What’s your favorite part? 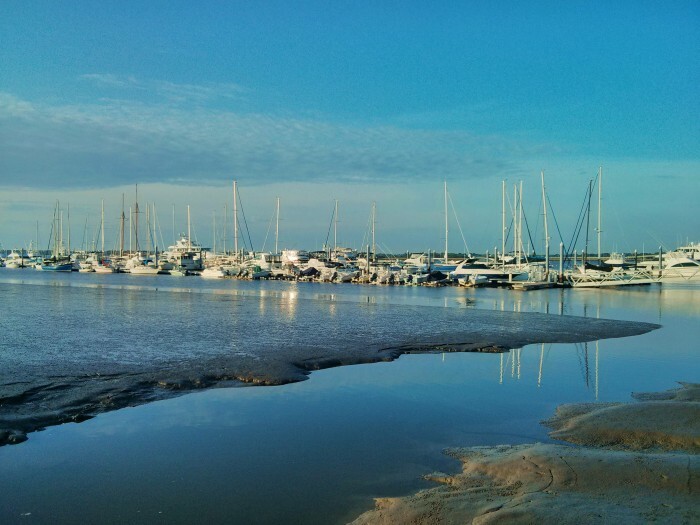 Low tide and boats at rest in the early morning Charleston light at the City Marina along the Ashley River. 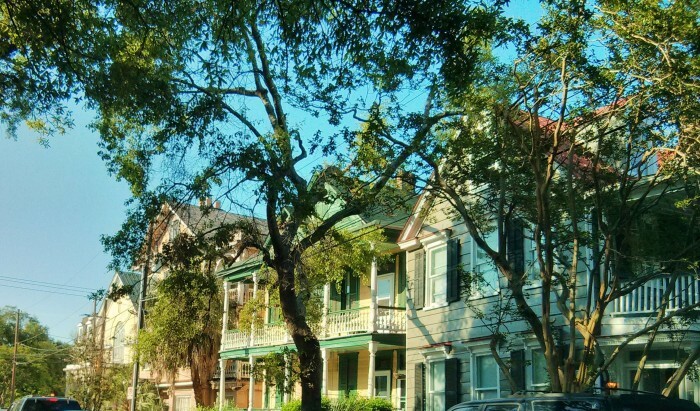 The late afternoon light making a row of beautiful Charleston houses on Ashley Avenue glow. All the rain in Charleston has given way to some beautiful flowers. 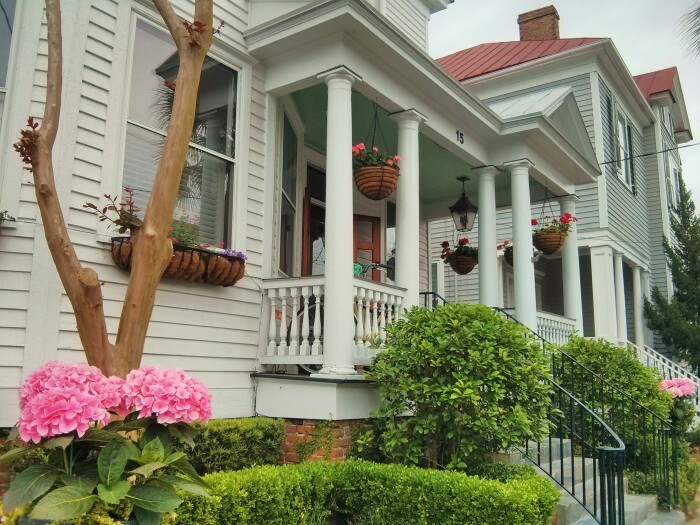 This house on Colonial Street is full of color and blooms.